We will launch a Singapore-based agrifood tech innovation center and $40 million fund. 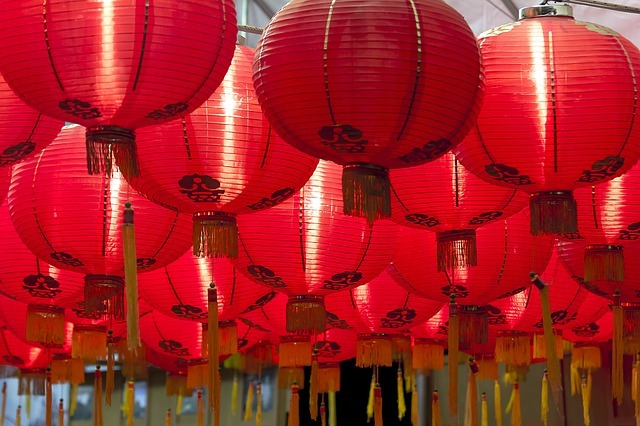 Singapore’s SEEDS Capital appointed the fund a co-investor in agrifood tech companies. EdenShield has raised $476,550 on Exit Valley … 19 days left to invest. ViAqua closed a funding round with Singapore-based VisVires New Protein. Take a trip “up North.” Meet our entrepreneurs who are transforming their ideas into start-ups! Register for the Trendlines Open House. Leviticus Cardio was awarded a $950,000 grant from the Israel-U.S. Binational Industrial Research and Development (BIRD) Foundation. ZygoFix was selected to receive a Horizon 2020 grant. EdenShield sent its first shipment of EdenShield Direct to California (cannabis market). Hargol FoodTech is one of 15 finalists selected to present at evokeAG Startup Valley, 19-20 February, Melbourne, Australia. CorAlert has been selected to showcase at the Hello Tomorrow Global Summit, Paris, 14-15 March. Arcuro Medical is mentioned in the new market report from Fact.MR. NeuroQuest adviser Prof. Michal Schwartz was profiled in Ha’aretz (subscription). See the new AgroScout video. 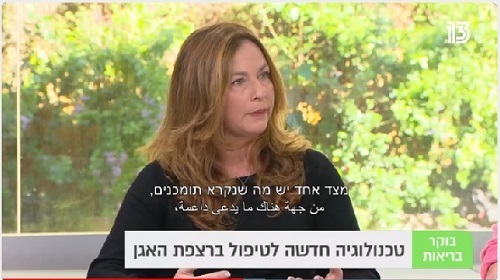 Escala Medical CEO Edit Goldberg appeared on Israel’s A Healthy Morning program (segment starts at 10:37, in Hebrew). 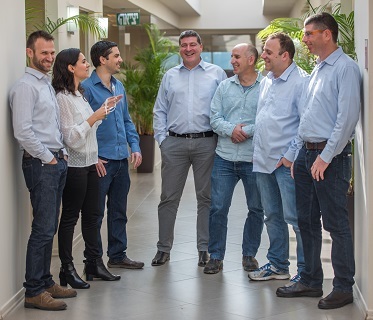 Bayer Trendlines Ag Innovation Fund VP Maya Schushan Orgad was among the organizers of Sowing Seeds of Change – Women Agtech & Foodtech Entrepreneurship, 16 January, Tel Aviv. Saturas CEO Anat Halgoa Solomon was a speaker and Trendlines Chairman & CEO Steve Rhodes served as a panelist. Trendlines Incubators Israel CEO Nitza Kardish is a speaker at evokeAG, 19-20 February, Melbourne, Australia. 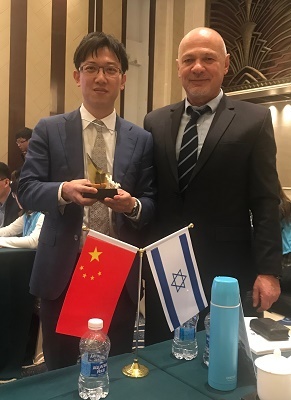 CoreBone won the Best Technology Innovation Award, 2nd China-Israel Innovation & Entrepreneurship Contest, Shezhen, China; (above) CEO Ohad Schwartz with Dir. of Innovation, Industry Investment Dept., China-Israel Changzhou Innovation Park Initiative Lawrence Wang. 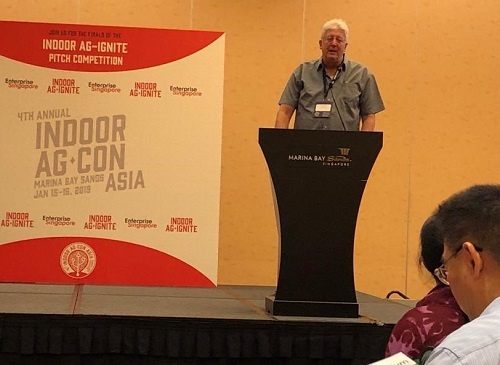 AlgaHealth CEO Oran Ayalon presents during the finals of the Indoor Ag-Ignite pitch competition in Singapore, 15 January (part of the 4th Annual Indoor Ag-Con Asia). Trendlines Agtech VP Business Dev. Sarai Kemp served as a conference judge. Nurses from the Department of Nephrology, The First Affiliated Hospital, Sun-yat Sen University, Guangzhou, China, take a closer look at the liberDi device during a demonstration by CEO Hezkiah Tsoory. 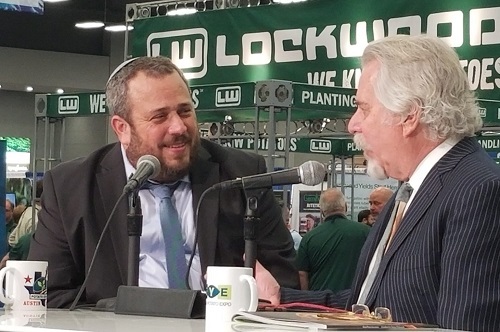 AgroScout CEO Simcha Shore (left) during his post-presentation interview with Phil Lempert, Potato Expo 2019, Austin, Texas, 9-10 January. 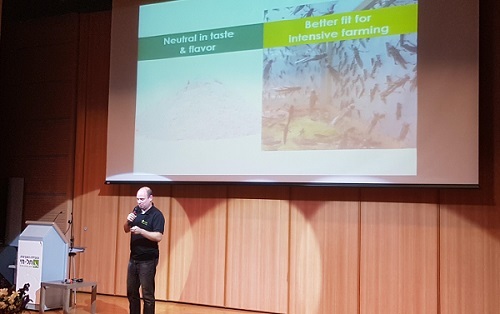 Hargol FoodTech CEO Dror Tamir presents (and shared edible samples) at the Galil Innovation Conference, Tel-Hai College, Israel, 2 January. Photo: Galil Innovation Conf.